ElegantEstate was designed to accommodate the real estate industry. Great for real estate due to its simplicity and ease-of-use, it is versatile enough to work for a private vacation unit’s site or those in the nightly rentals business, and comes equipped with many of the features you might find intriguing and useful – categorize properties, list prices, display features, include photos, and more. 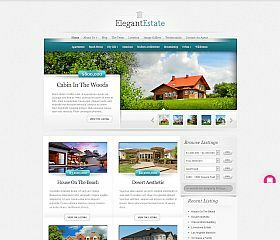 EstateEngine is a robust and highly customizable WordPress theme for real estate – whether you’re managing your own properties, setting up a real estate portal, or a content website. Features: advanced search for listings/properties, easily manage property details (photos, information, etc. 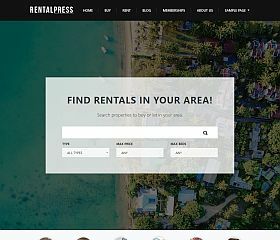 ), allow visitors/users to submit their own properties, special templates for individual listings, built-in rating/reviews, internal messaging, social sharing, and a responsive layout and design. 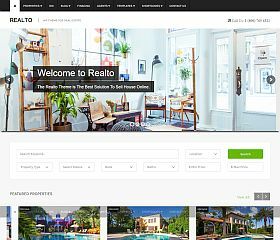 Realtor is a premium WordPress theme designed for those in the real estate that can be used across a wide array and type of sites, including everything from real estate agents/agencies to content-driven portals or listing websites. Whether you’re a property developer or investor that wants to showcase your properties, make your business buying or selling houses, or rely on content – this particular theme offers everything you might need. 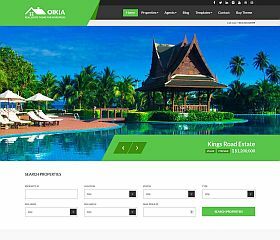 Oikia is a WordPress theme built specifically for the real estate industry. Incorporating modern design elements, it offers a solution that is perfect for agencies, realty offices, agents, or real estate sites. 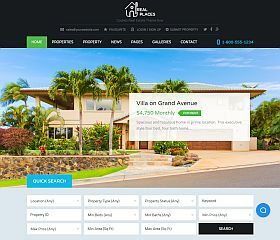 Included with the theme: an advanced listings/property search, drag-and-drop homepage, dynamic map/filtering, custom widgets, unique color schemes, optimized for SEO and speed, Retina-ready design, and more. 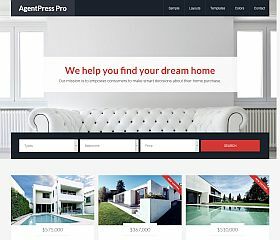 AgentPress Pro is a child theme for the Genesis Framework for WordPress, and one of several real estate themes for Genesis. 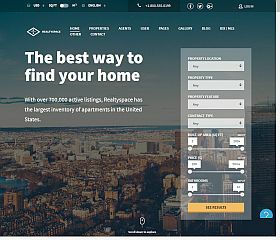 Features: advanced listing search box, individual agent pages that can be paired with specific listings, custom post types (communities, listings, etc. ), integration with IDX services, and more – you’re getting a complete solution for your website that is built upon a solid code base and highly optimized framework. Home Quest will give you a modern and urban feel with all of the features your real estate site might need. It places a powerful search module front and center on the page, allowing your visitors to quickly find the type of properties or listings they’re searching for (which they can bookmark or favorite), and includes page templates, blog section, and customization options. 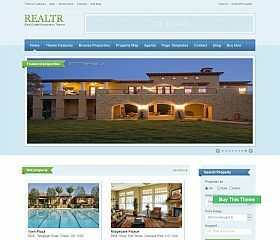 Realtr can be used for a standard Realtor’s website to display properties for sale or rent. Powerful search features with the built-in templates (or via the custom search box) give visitors the option to select the features they want in a property. Alternatively, it can be used as a community-drivem site where users can submit listings for free (or a fee if you’d like) and be managed in a more passive manner. Premium Real Estate offers an integrated approach to real estate websites by combining geographic pins, advanced search, and a responsive design to deliver your content. 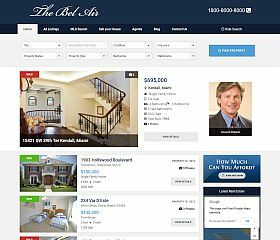 This theme can function as a real estate portal where visitors can submit listings (for a fee if you’d like), as a real estate business’ website, or as a listings/aggregation site. Membership and pricing packages have been built in (if you want to charge for listings), or use it for your company and allow agents to upload their own information. 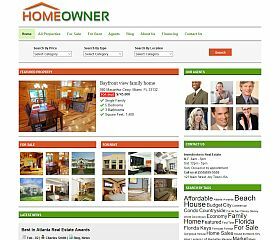 Homeowner allows you to display your listings, share information about your company, and create a simple and easy-to-use website with this custom-built theme. 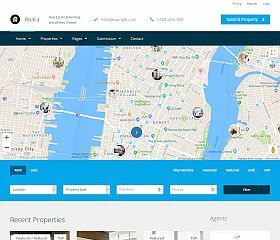 Real Agent is a theme that is able to support single or multiple agents, the simple and clean design places an emphasis on the thing most important to your visitors – the property listings. 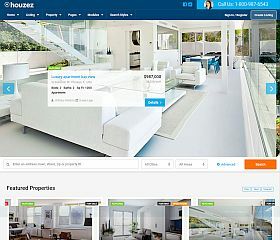 With powerful search functions, a responsive design and layout, 7 unique color schemes to choose from, and IDX-MLS integration/support – it gives you a highly flexible and effective theme for your business and listings. RealEstate provides you with an amazing foundation to build your site upon, whether you’re a web portal, online real estate magazine, or a realty business that buys and sells homes. There are three main content areas: property listings page, individual listing pages, and homepage – all of which are highly customizable to fit your needs. Designed to be easy to monetize as a content site, it includes features for allowing visitors to submit listings and paying them to be upgraded for enhanced visibility or features. The Bel Air is a real estate theme that can adapt to nearly any style and type of site, with a focus that is placed upon showcasing and displaying listings (whether it’s homes, condos, land, etc.). Allow your visitors to easily find what they’re looking for with the easy-to-use layout, while providing administrators and property managers a simple and easy back-end for listings. 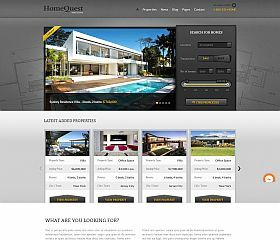 HomeQuest was built to power a real estate listings site, whether you’re promoting your own properties or accepting the submissions of others. Brokers, agents, and companies will find the ease of use and uploading information to be one of the most appealing aspects of this theme – while those setting up a site to act as more of an online publication to accept listings posted to the site, will appreciate the monetization and revenue options that have been built in. 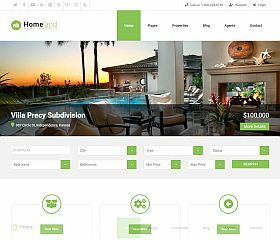 Residence has been designed with a sophisticated and upscale, luxury style – this theme provides a great solution for real estate agents and businesses of many types. 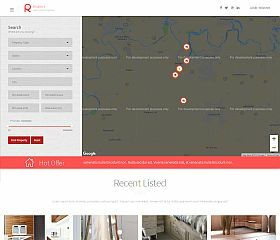 Integrating Google Maps, IDX-MLS systems, a slideshow for featured properties/listings, and a fast-loading search box – this theme provides a simple, sleek, and stylish solution for your real estate website. Renting is a theme for agencies, realtors, or any other type of business or website in the real estate industry. Features: full-screen slider in the header, parallax scrolling, built with Twitter’s Bootstrap, theme options panel, responsive design, custom post types, support for WordPress’ post formats (gallery, aside, etc. 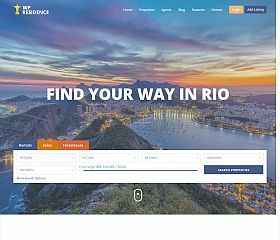 ), 80+ built-in shortcodes, multiple color schemes, filterable portfolio, optimized for SEO, and more. 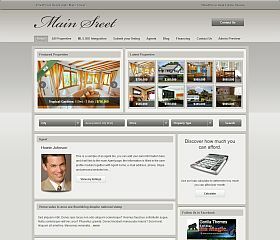 Main Street is a theme supports single or multiple agents, a responsive and Retina-ready design, gallery/slideshow, integrates with IDX-MLS systems, several unique color schemes to choose from, as well as custom-built real estate widgets included. 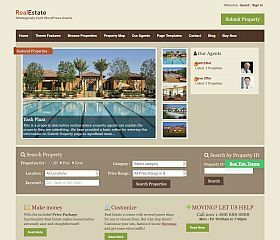 EstateMLS was designed to showcase your listings beautifully, maximizing their visual appeal. Using the material design style, this forward-thinking theme relies on the latest design techniques to deliver a theme that impresses your visitors and is highly usable – and is one of the very few themes that comes with built-in support for MLS/IDX listings. 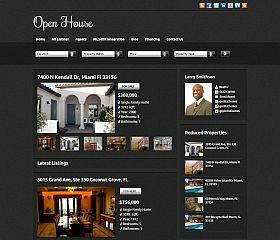 Open House was built with an emphasis on displaying your real estate listings efficiently and effectively, converting browsers into buyers is the top priority with this theme. The homepage displays your featured properties in a rotating gallery which sits above your latest listings – while each listing can display: price, property type, number of bedrooms and bathrooms, Google Maps, and each property can be assigned and managed by agents that you specify, making it a great choice for those who have multiple agents or brokers. 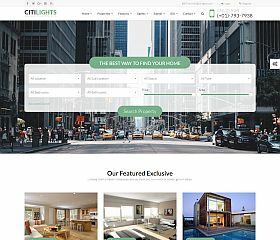 CitiLights is an ultra-modern and trendy theme that will give you a contemporary and professional look. It offers you everything you might need to create a state-of-the-art site: parallax design features, flat-style design, responsive layout, prominent call to action (phone number, appointment button, etc. ), integration with IDX/MLS plugins and services, front-end submission form, and dozens of other features. 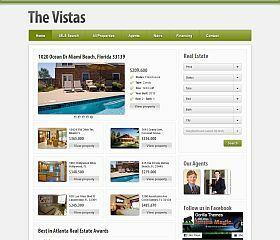 The Vistas is a solution where the simple and clean front-end masks a powerful theme that has been fine-tuned for maximizing your real estate website. It can seamlessly integrate with IDX services and you can display MLS data live on your site with a simple integration. The package supports multiple currencies (so it will work in your country) as well as multiple agents if you work in an office with more than one person. 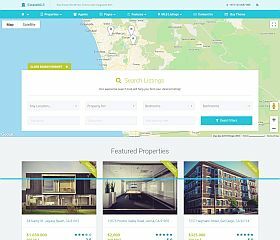 Zoner is a powerful theme that allows you to showcase your properties and listings with ease. 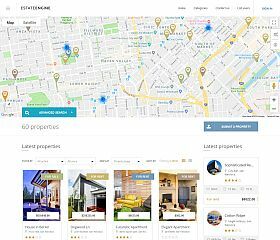 Built on Bootstrap and the 1170 grid system, it includes a testimonials section, services section, beautiful styling (and display) of your properties, parallax design elements, and is one of the first of its kind to integrate with OpenStreet Map (as well as Google Maps and other services) and much more. 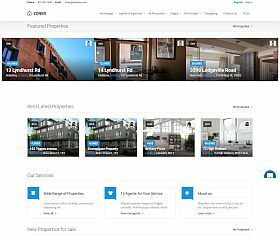 Real Spaces is a theme for real estate that harnesses the power of Twitter’s Bootstrap to deliver a site that is responsive, Retina-ready, and designed with the latest coding standards and best practices. It allows you to easily showcase your properties and listings (with a special search box for your visitors) – while maintaining a powerful back-end that can be use to customize your site to your needs. It comes with multiple layouts and templates, ensuring a consistent experience across the sections of your site. 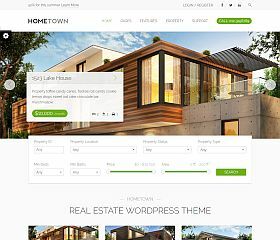 Sweethome is a responsive theme for WordPress real estate sites that sports a very clean and modern design that will give you a contemporary look that is sure to appeal and entice more clients. Whether you’re searching for a solution to display your properties or listings, or you’re trying to establish yourself as a buyer’s agent – it provides all of the things you need for a great-looking site. WP Residence is one of the most flexible and versatile themes of its kind on the market. 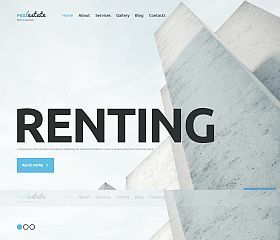 Able to function equally as well for an agency or realty office as it would a directory, it keeps you current in web development and design including: Retina-ready images, AJAX map search, paid submission and membership options, social media login, built on Bootstrap, and many more features that you will want to check out. 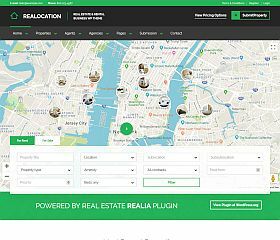 Realocation is a modern WordPress real estate solution that has been designed to allow the listing of properties, showcasing of agents, integration with IDX, and more. Built upon Twitter Bootstrap – it incorporates a responsive layout and design, front-end submission of properties, and advanced search capabilities. It is able to function under a variety of different uses, whether it’s for a real estate company, broker, or agency – or as a content-driven real estate portal or website. Realto conveys style, sophistication, and a modern flair that will make you stand apart from the rest. With advanced features that were custom-built specifically for those in the field – it gives you a world of customization and extras at your disposal. From the built-in shortcodes, IDX integration (via the third-pady dsIDXpress plugin), full-width imagery, and powerful search capabilities – you will be hard-pressed to find something you can’t do with this theme! 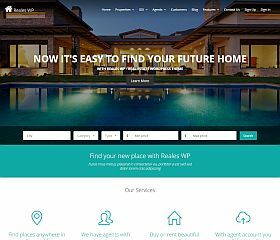 Real Homes is an extremely robust and beautifully-designed theme for nearly any type of real estate site and one of the bestselling themes of its kind on ThemeForest. 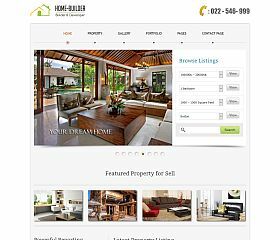 It combines property listings, beautiful homepage sliders, blog section, featured properties, and has been designed to convert your visitors and browsers into buyers and clients. 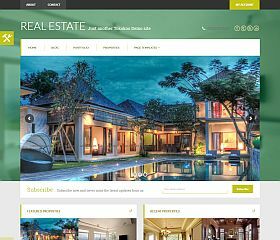 Joglo is a responsive real estate theme that incorporates animation effects, imagery and photos, and advanced functionality to deliver one of the newest themes for the industry. 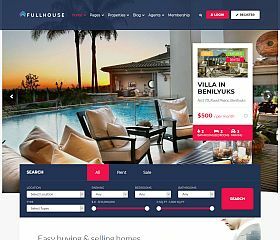 With special sections that have been built specifically for the field it includes an advanced property search, special templates for listings/properties, responsive layout and design, and is powered (or compatible) with the popular WooCommerce plugin by WooThemes. 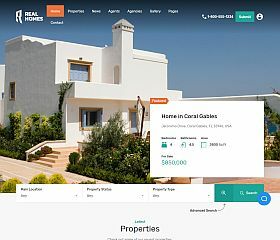 Realia was one of the pioneering themes for modern real estate sites with its responsive layout and design that adapts elegantly across nearly any type of device, browser, or screen size. 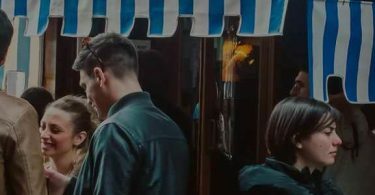 With a focus on listings, it allows you to showcase your properties and offer an amazing user experience for your visitors. Houzez is a versatile and flexible theme that has been carefully designed to look great across all screen sizes and comes with several different layout and template options to choose from. 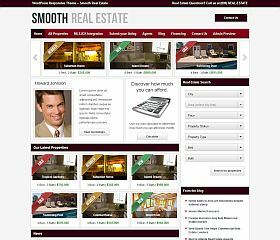 Smooth was one of the first premium WordPress themes for real estate, setting the standards in design functionality. This particular theme includes: the ability to integrate with IDX listing services, responsive layout and design, built-in mortgage calculator, real estate search box, and back-end administration options. FullHouse is a full-featured solution for managing properties, agents, and real estate sites. Realtyspace is a theme that gives your real estate agency, service, or company a modern and state-of-the-art look and functionality. 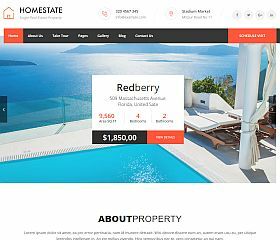 Home State is a WordPress theme designed to showcase a single property – great for higher-end homes, luxury real estate companies, commercial land, tracts, or anyone wanting to promote a single piece of real estate. 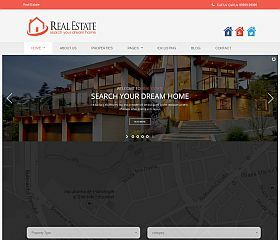 Real Estate WordPress is a premium, responsive WordPress theme for real estate that includes many options that allow it to adapt to many different sites and styles of sites in the industry. 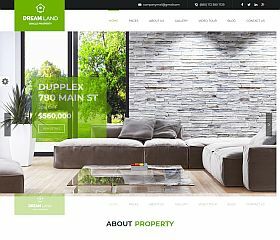 Real Estate WordPress Theme was designed for showcasing properties – whether you want to list residential, commercial, lots and land, or any other type of property. 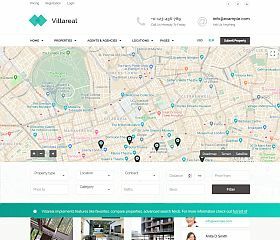 Villareal is an advanced theme that includes functionality like: property listings, advanced search filter, front-end submissions, pricing packages, and more. 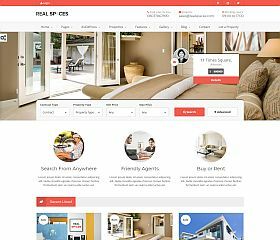 Real Places is a very clean and modern-looking theme designed for the real estate industry. Offering options for customization, it can be styled and set up to suit your business’ needs. 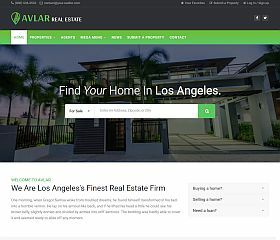 Avlar was designed to look great, optimized for search engines, and create a complete solution for your site – whether you’re a single agent or large company. Homeland was built to adapt to your needs, with dozens of customization options, layouts, and features that can be modified to your liking. 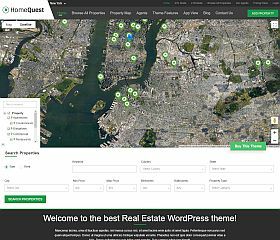 Reales WP is a premium theme built on Bootstrap that integrates with Google Maps, social logins (Facebook, etc. ), and provides a modern foundation for building your site upon. 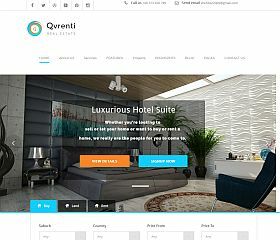 Qvrenti is a feature-rich theme that was built to accommodate both traiditional real estate sites and rental websites, and includes eCommerce functionality for selling products online. Hometown is a powerful theme that integrates/supports IDX for easy listings of properties, homes, and land. Dream Land was built for homeowners, property owners, or real estate companies that want to promote a single property or listing. 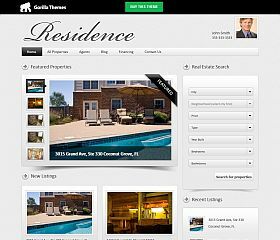 If you are looking for a great WordPress real estate theme, then look no further! There are literally thousands of free WordPress themes currently available (and hundreds for real estate). Finding the right one for the type of site you are creating can be an arduous process. For those of you that are in the real estate industry, this is great news as there are now dozens of great themes out there for you to choose from – ones that are specifically geared toward real estate agents. 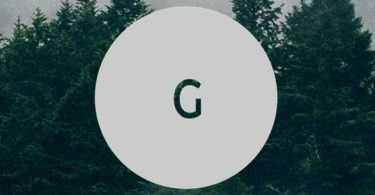 For professional layouts, I would also recommend checking out Elegant Themes, ThemeFuse, or StudioPress as they make some of the nicest looking designs out there. Developers will also appreciate their multiple licensing options that allow you to use a design across many different sites.